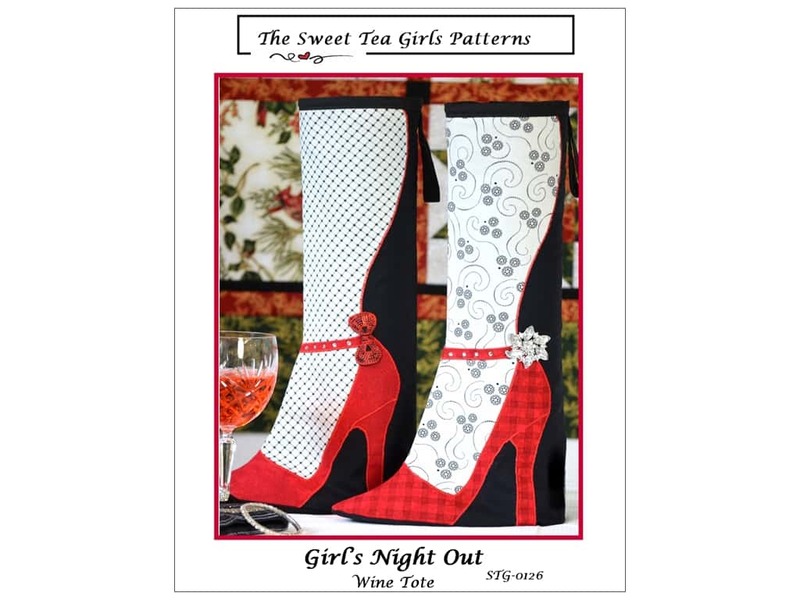 Description: Sweet Tea Girls Girl's Night Out Wine Tote Pattern. Have fun the next time you go out with the girls with this great beverage tote. Use it to carry your own beverage to a party or give it as a gift. Use a variety of fabrics and add glue on crystals, ribbons or buttons as embellishments, or how about a rhinestone pin or sequin applique. Finished size 16 in. tall. Includes instructions, diagrams, and paper patterns. See more Sweet Tea Girls Patterns. Girls Night Out Wine Tote Pattern -- CreateForLess 5.00 out of 5 based on 1 ratings. 1 user reviews.